It’s birthday time in our house again, and I always like to let the kids choose their themes. 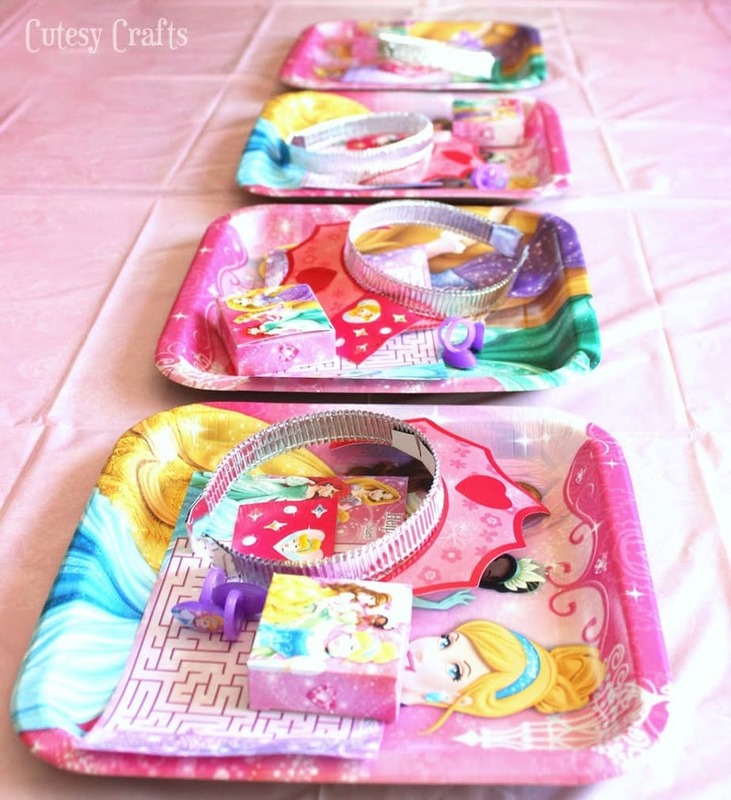 Last year, if you remember, Audrey had a Disney Princess party. 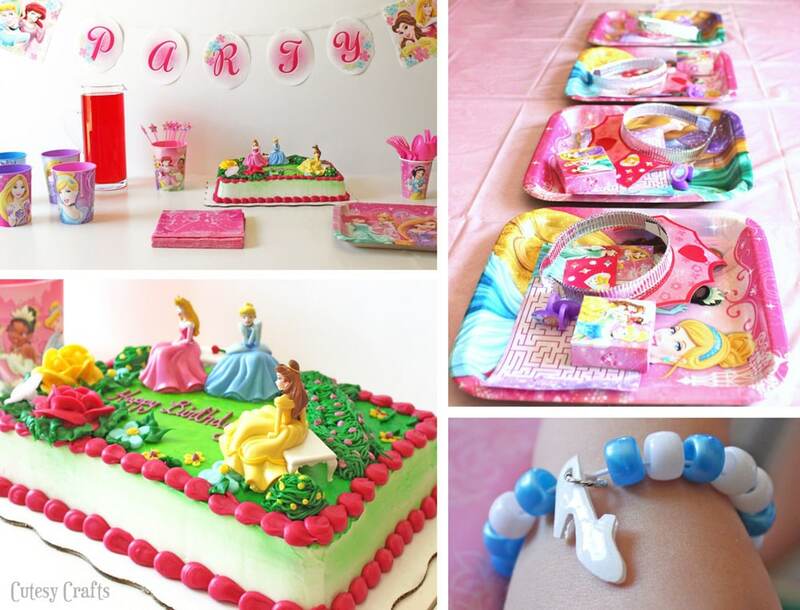 Of course she wanted a princess party again this year! So here we go with another awesome birthday celebration! I’ve been really busy this Summer, so it was nice to take a trip to Walmart to get all of the things that I needed for the party in one place. You can check out my shopping trip here. 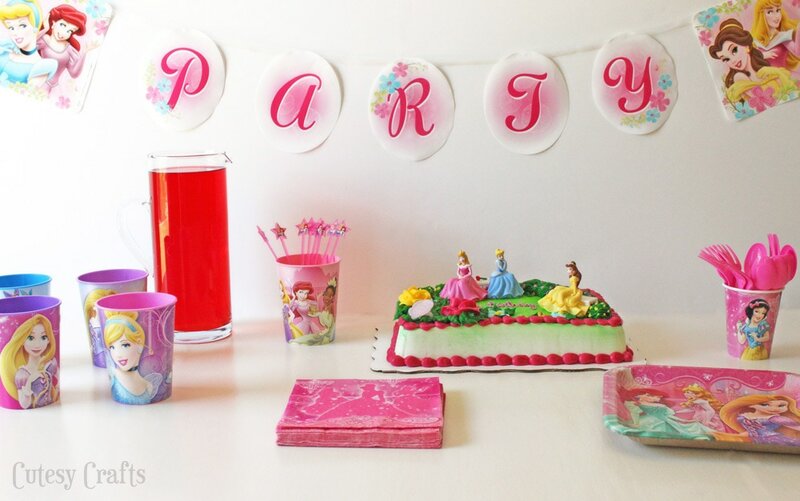 Walmart has some really beautiful Hallmark Disney Princess party decor… banners, plates, cups, napkins, you name it! 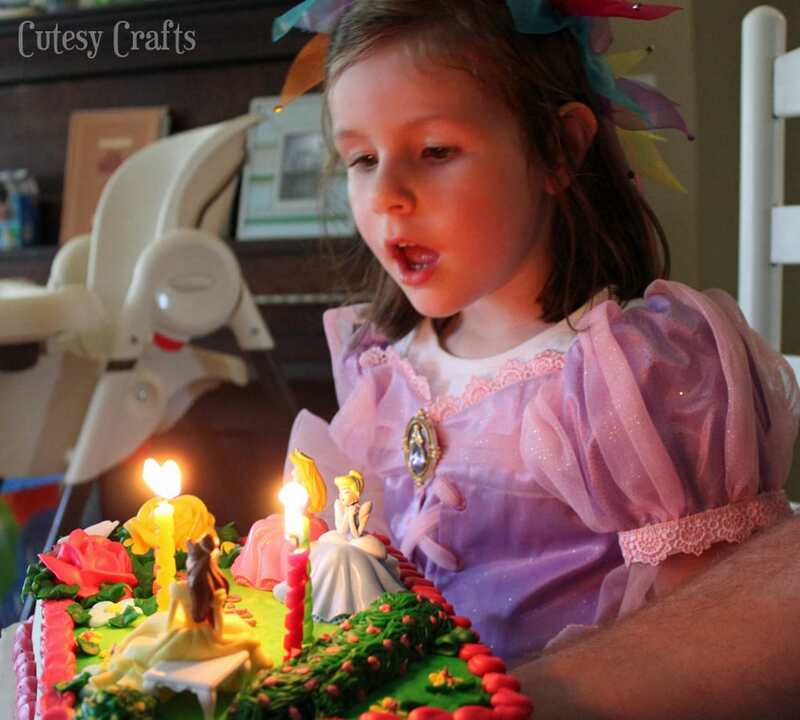 Did you know that you can order birthday cakes at Walmart? 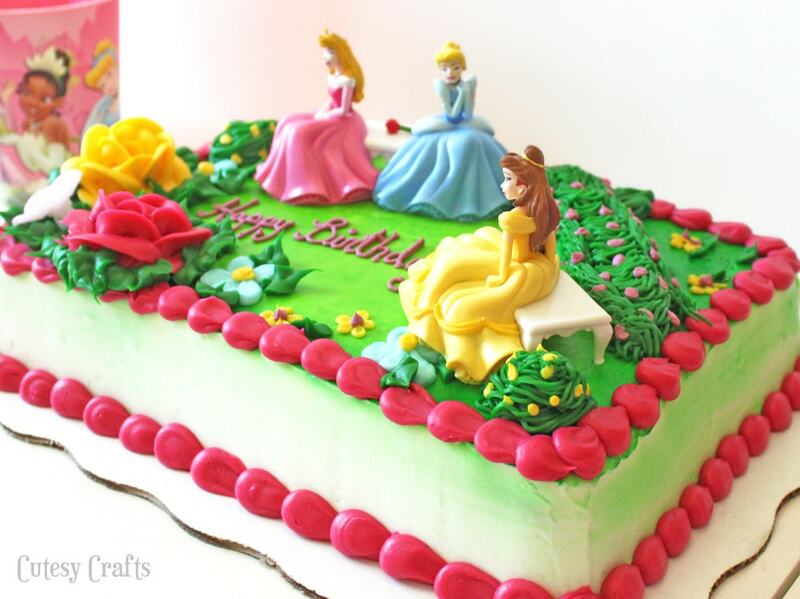 We got this adorable DecoPac princess cake that was so yummy! Audrey loved the princess toys on the top! 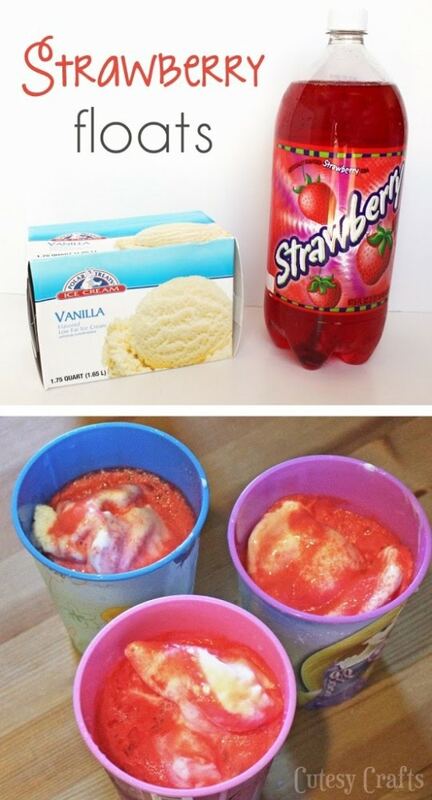 We washed out the cute cups after and then sent them home with the girls. 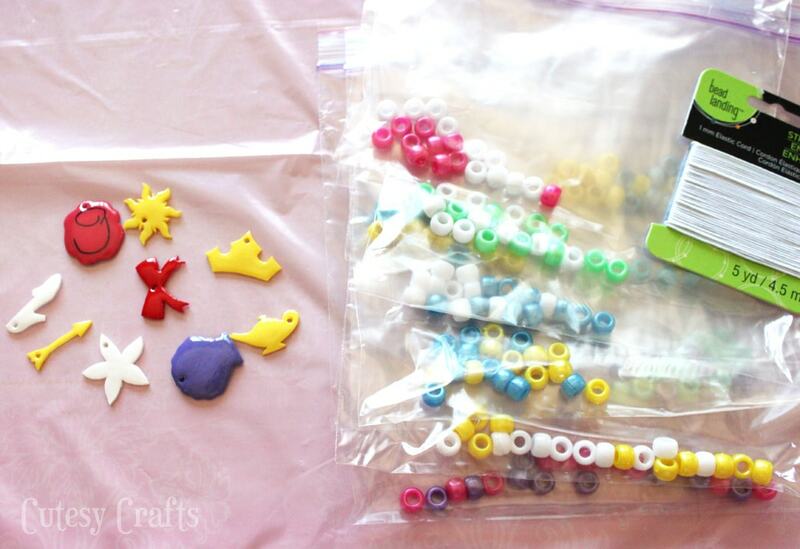 A fun, practical party favor! 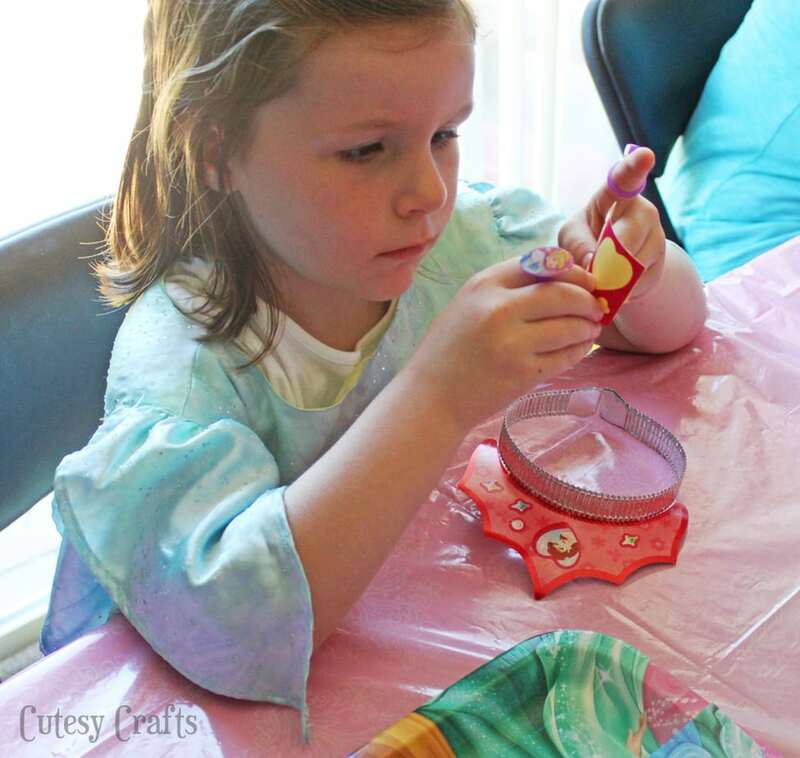 And, of course, our party wouldn’t be complete without some fabulous princess crafts! 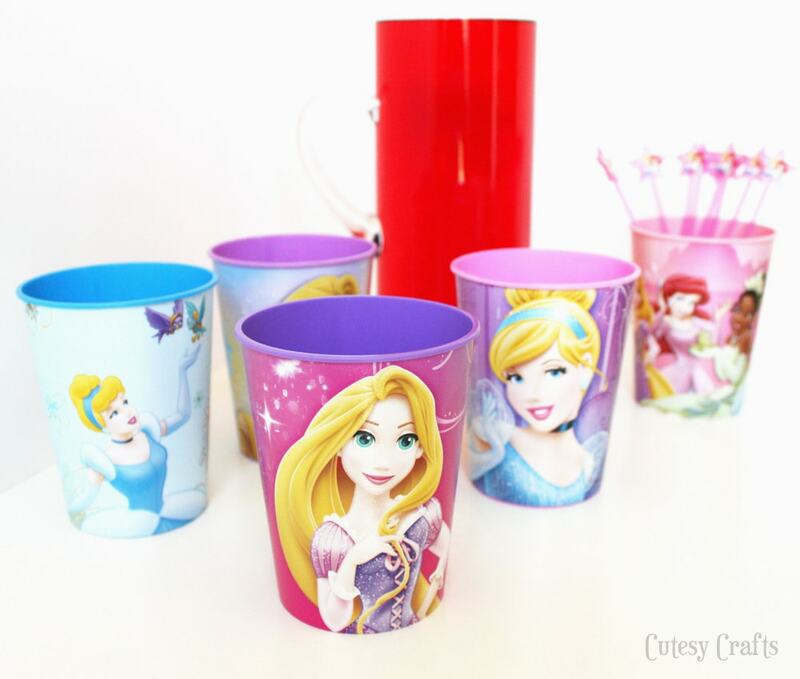 Hallmark makes all sorts of fun Disney Princess party favors that you can also get at Walmart. Among other things, I picked up these cute crowns. 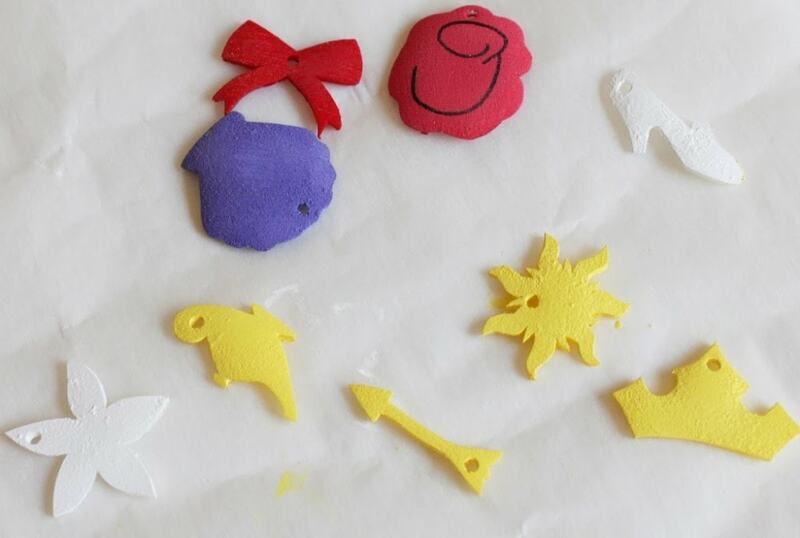 They each came with a little pack of stickers so that the princesses could decorate their own. The girls also made these fun Disney Princess bracelets out of pony beads and shrinky dinks! Can you tell which one belongs to each princess? I made the charms ahead of time using frosted shrink film. It has a rough surface, so it’s ready to paint. 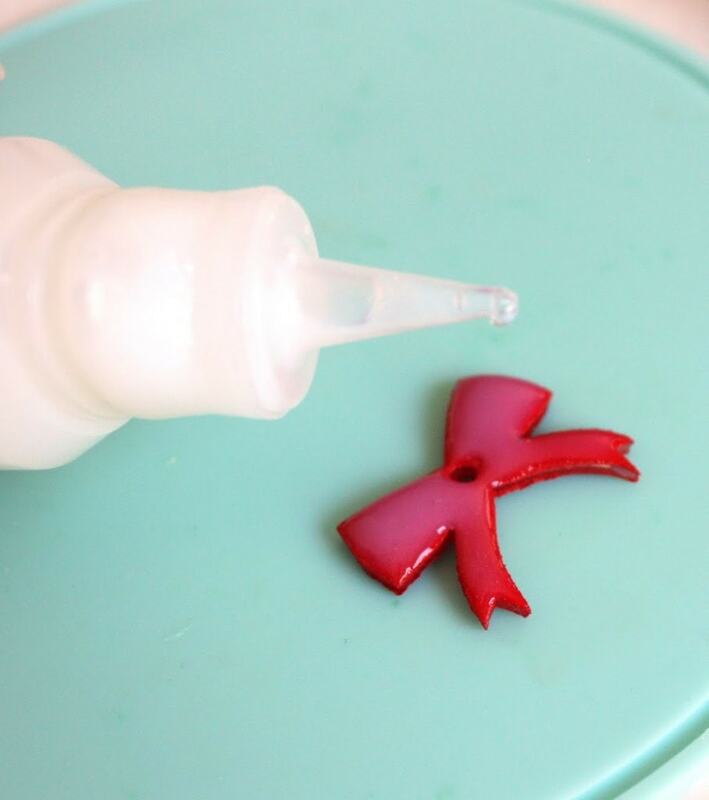 I recommend painting with acrylic paint AFTER shrinking. I tried to paint them first… not a good idea. The paint cracked and peeled all over the place. Don’t know what I was thinking. You can get the templates for my charms here. I’m not super pleased with how the rose charm for Belle turned out, but I drew the black part on with a permanent marker. I just used a regular size hole punch to make the holes. 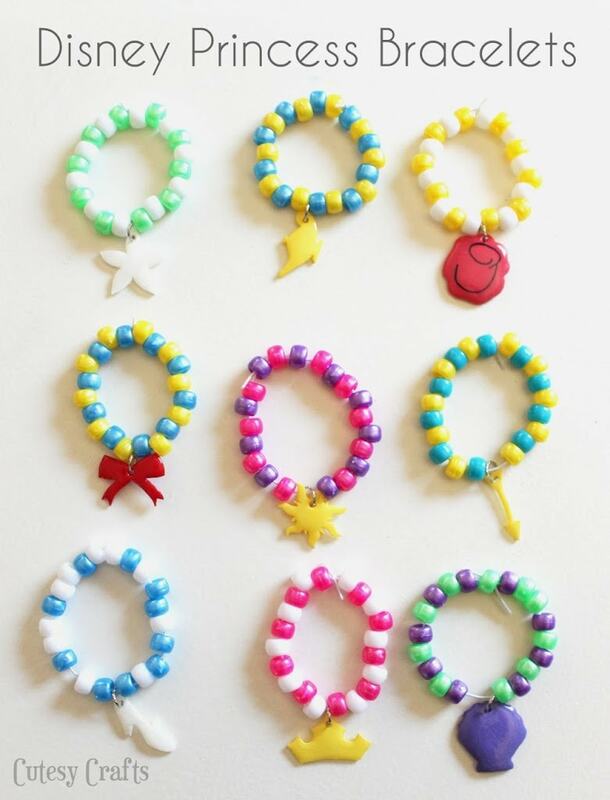 After the Dimensional Magic was done setting, I added jump rings to the charms and made little “kits” by putting 20 beads into each baggie. 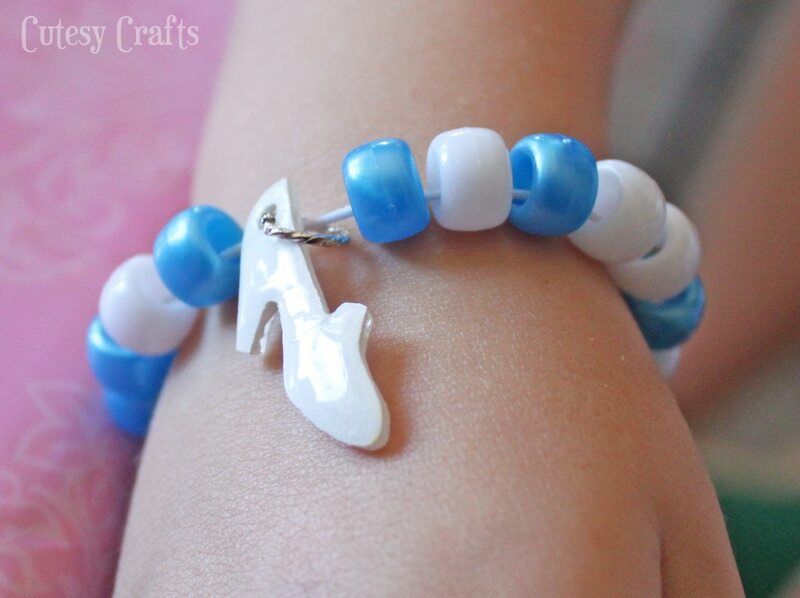 The girls strung the beads on elastic cording to make their own little bracelet. Finally time for presents! I asked Audrey what she wanted, and she was very specific. “I want a big Rapunzel doll so that my little Rapunzel doll will have a Mommy Rapunzel.” Haha. She was very pleased with my selection. 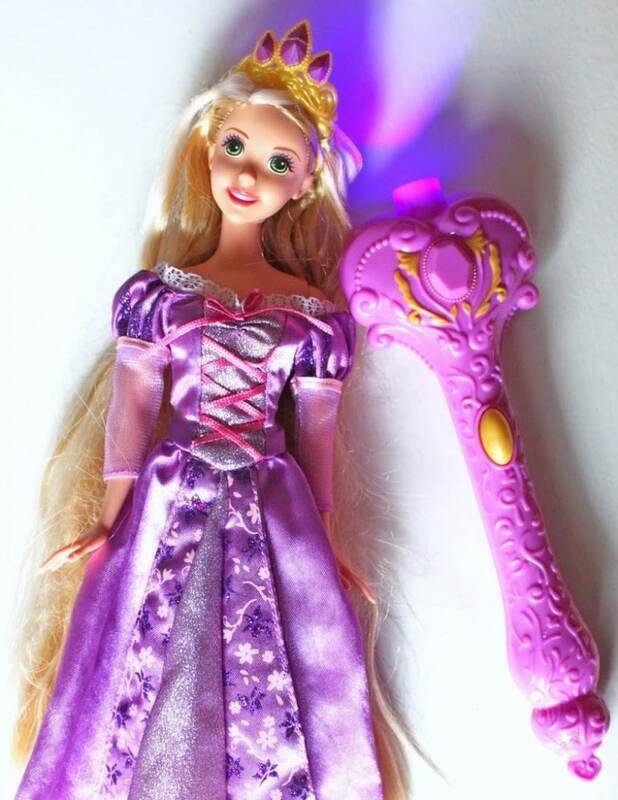 Enchanted Hair Rapunzel’s hair changes color with light?! Even I was a little excited to play with this one! Happy 4th birthday to my little princess! super cute party, great job!